Well its no lie that I lack proper ways of storing games. In high school my grand father gave me two brief cases and as I was in high school I really had no reason to use a brief case. (Half of it was that I had sleep apnea and any hope of my brain functioning in a way to do so was next to impossible) So I used them to transport my video games and video games systems in a way that I could get away without looking like I was transporting video games. So typically I tend to put my video games and personal belonging in random containers that are not classical ways of storing such devices. I love file cabinets as they are small and compact and have easy sliding drawers. I probably should be putting all my important tax information into files in them but I love to put other things in there; More specifically my Sega Genesis collection. 2016 has been a very interesting year for my Sega Genesis and me. Honestly I think that the Sega Genesis is very under rated currently, not in the sense that it did not make tons of money and was a successful system. But I think that as time passes people kind of forgot why it was such a juggernaut and even held the Super Nintendo Entertainment System back in the United States till 1994, which was kind of a huge deal when you think about it. Anyway I kind of randomly picked a bunch of games out of the drawer and thought I would share part of my collection. Well this cartridge is great for people that want to save space and get a bunch of great games into one package. Yeah that is kind of cop out XD but honestly I think as a total package it is really strong. Having Sonic the Hedgehog is amazing. At first I never really cared for the first one as much as the other games. But honestly the more I go back to playing it I find myself enjoying it more than the other ones for its elegant simplicity. 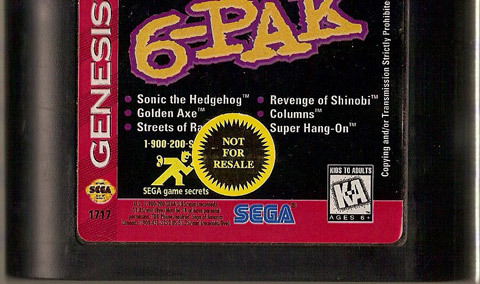 This cartridge has also Golden Axe, Streets of Rage, Revenge of Shinobi, Columns, and Super Hang on. I feel that most people would evaluate most of these games pretty even given the right person fighting for quality of the game. This game is crazy. I really don’t know what to think about this game. At one end of the spectrum the graphics are kind of crazy as they are semi-realistic and so they have a weird matt feel to them. The controls kind of seem stiff and are hard to get use to. 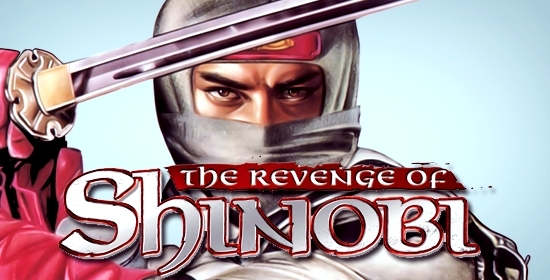 But once you get Shinobi is the long lost soul of the arcade challenge, thus bring the soul/challenge of games like the Dark Souls series but without the need for lengthy grinding. So yeah it’s hard as hell, but the curve is amazing as literally all of the tools you need to succeed are with you from the start. I am sure most people will look at this game and see that it looks ugly and is hard to grasp. But make no mistake to take a quick glance and walk away. There is tons of entertainment to be had from this game. 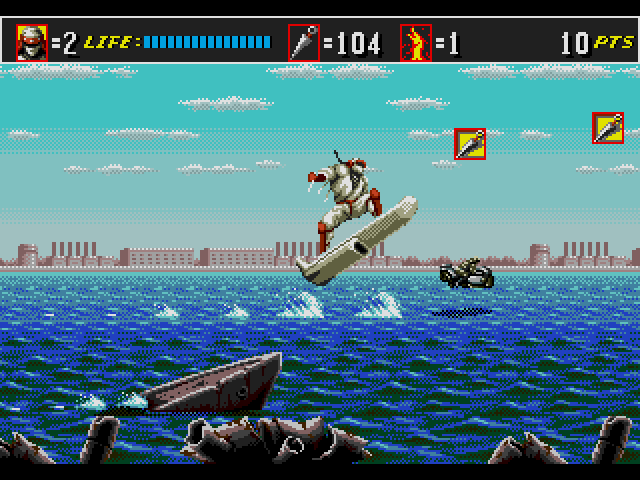 Plus if you make it to the second level, it really shows off the raw power of the Genesis even really early on before a lot of the tricks of later development. Treasure has made a ton of different games over the years. Honestly I think this one is a great addition to the rest of their wonderful library. 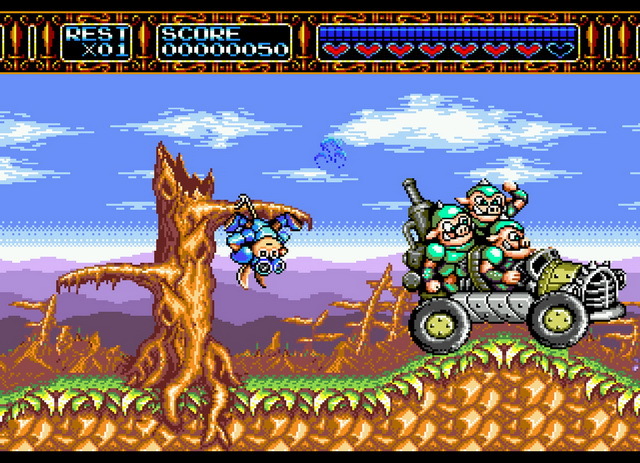 It may have been limited by the cartridge capacity of the Genesis games, but makes up with heart in what it lacks. Isometric dungeon crawling that is much better than Solstice on the NES in that it actually works well and has a better in game sound track in game. Solstice was not bad but the rooms were limited and there was not much scrolling which left a lot to be desired. Yes, my Sega Genesis is 32x enabled to run all 32bit glory… Which surprisingly I only wonder what more optimization would have lead to if the Saturn was not even out yet. 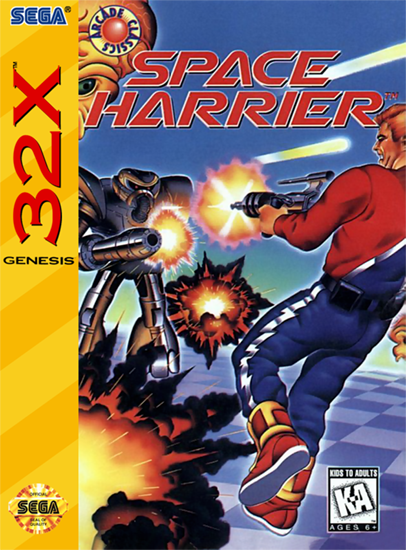 But Space Harrier is a classic arcade game. I don’t know if I can say much than there already has been, but I really enjoy shooting everything. I guess with the reboot and all I had to test and play the 32x version for myself. 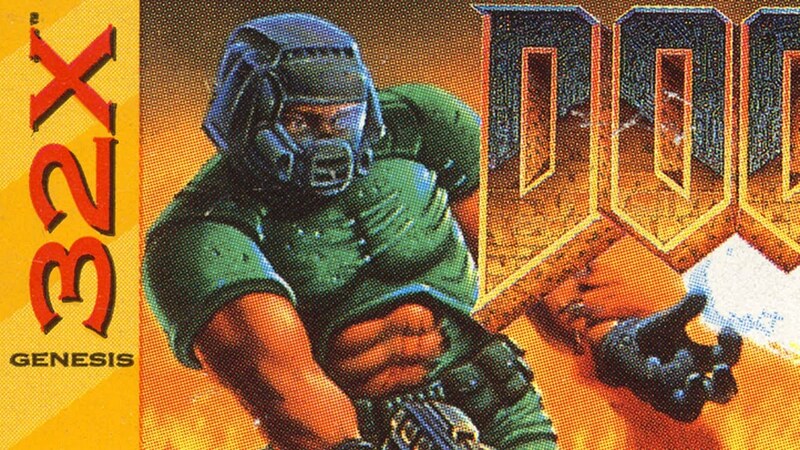 Admittedly not having the last bunch of levels never really bothered me as I found the first act of Doom being the levels that I played the most and the ones I found myself the most nostalgic to play. Which all together makes this port to me less terrible than most people want it to be. Which on the 6-button controller there is a lot of options on and it works really well on the official controllers. Heck pressing mode and any of the six buttons will quick switch 1-6 on the Doom inventory, which is a much-needed improvement over some of the other ports. Well this game is… crazy. Basically this Olympic athlete has high tech water wings implanted on his left and right shoulder that transforms him into a werewolf to go attack the people that kidnapped his father. I wished I was making this up but this is too serious to laugh at. Did I mention he can shoot energy from his hands in that form? It is also made by CORE and is probably even why there was a port. But tis one of those rare Amiga ports and its not too bad of a game if you like rather simplistic platforming and fighting games. 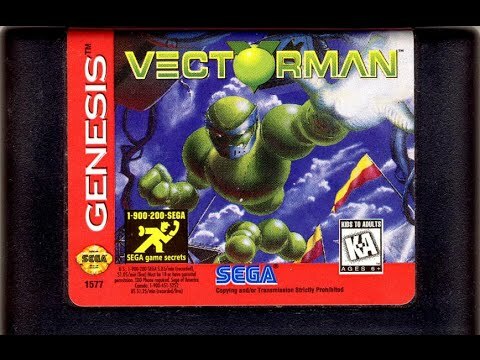 But its one of those games that actually got an upgraded soundtrack from the Sega Genesis… Which is kind of hard to understand but the Yamaha does the game proud in this version. 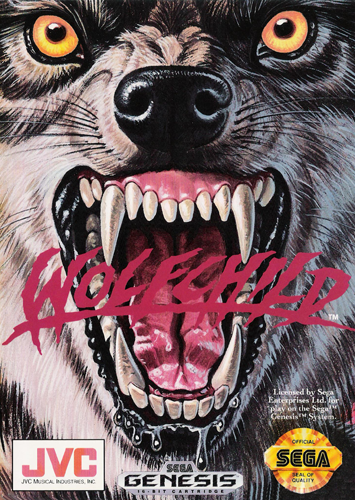 There is also a Sega CD version of this game that also really improves the audio and adds the cut scenes back into the game. I have never really played a game much like it. 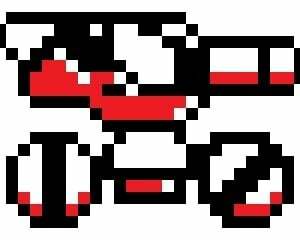 Weird hybrid of Donkey Kong and Mega Man; you would really look at it on paper and go this will not work. But there is something so endearing about looking for secrets in this game that it really is addicting. Well… This game is a lot fairer than Revenge of Shinobi but at the same point it really does well on making the systems of the game updated and much more fun at some points. Though I kind of enjoy the complexity of the first one, but this game is fun. In a lot of ways like Metal Slug this game really shows off what a little extra power can make available for 2D pixel art games. Fast fluid and colorful this is the old Konami that I still wished existed. I am sure this game would look somewhat better if I was not stuck to Composite output right now. But it’s a fun game.